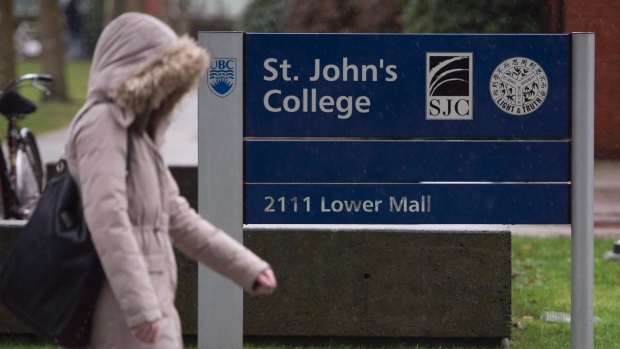 VANCOUVER -- When an institution fails a victim after a sexual assault, that betrayal worsens the trauma from the attack, says a leading U.S.
expert who is set to speak at the University of British Columbia. Jennifer Freyd, a psychology professor at the University of Oregon, will deliver a keynote speech on "institutional betrayal" at a two-day sexual assault conference at the university in Vancouver. "Colleges and universities are supposed to be on your side," Freyd said in an interview. "At least in the U.S., universities really advertise themselves that way, as a safe haven that you're going to go to and you're going to be protected and watched out for. When that expectation is not fulfilled, it's a crushing situation for people." "The ultimate goal is to have a good, functional, sexual assault policy at UBC. This event exists to help make that happen." Nearly 100 faculty members have signed an open letter apologizing for "not doing and not demanding better" to ensure students are protected from sexual assaults. Freyd, who speaks Tuesday, has been studying "betrayal trauma," or abuse by a trusted person, for 20 years. More recently, she has focused on institutional betrayal, or when institutions fail to respond to or protect against wrongdoing. When Freyd heard about the issues unfolding at UBC, she said they sounded familiar -- except for the faculty's open letter. "I was just blown away by that, because I had not seen something like that before," she said. "It's the opposite of institutional betrayal. It's being really accountable." "All these bad things we've been talking about thrive in secrecy," she said. "The more things are transparent, the less likely you're going to have those problems."